University of Iowa student Taylor Goggin, 21, of Lake Zurich, Ill., applies makeup and prepares to don a wig in May 2014 in Iowa City. Goggin has alopecia, which causes hair loss. Trevor Goggin recognized the boy as soon as he approached the neighborhood street hockey rink. He was the kid who had made his little sister, Taylor, run home from the school bus bawling a few days earlier. Before the boy could say anything else, Trevor confronted him and told him to knock it off. The boy never spoke to Trevor or his sister again. Such memories from her childhood in Lake Zurich, Ill., remind Taylor Goggin how far she has come since learning she had a hair loss condition called alopecia. It would not be an easy journey, or a short one. It would be filled with tears, self-doubt and sometimes frantic worry that her secret would get out. But, in the end, Goggin learned a lot about herself, life in general, the meaning of real friendship and the value of her family’s love. Dannette Goggin still remembers noticing her daughter’s hair looking thinner than usual after Taylor got out of a bathtub. A few weeks later, she held patches of her daughter’s locks in her hands every morning after brushing through it. At 2 years old, Taylor became one of 6.5 million Americans diagnosed with alopecia, an autoimmune disorder, in which patients lose hair from some or all parts of the body, especially on the scalp. Alopecia is one of the most common autoimmune disorders, affecting 2 percent of the overall population. Its development is not fully understood but it begins when hair follicles in the anagen, or growth, stage become the target for immune cell attack. White blood cells mistakenly attack their own hair follicles and cause hair loss. Pediatric dermatologists diagnosed Goggin with basic alopecia areata, the beginning stage in most cases, where small patches of hair loss occurs and often leads to total loss of scalp hair. Alopecia universalis, the disorder’s most extreme form, causes loss of hair on the entire body. Goggin entered that stage in high school. She continued seeing her pediatric dermatologist after her initial diagnosis to try different topical medications that Dannette applied to her daughter’s bald patches every day. But, as Goggin entered the second grade, the bald patches grew larger. Within a month, all of her thick, dark brown, Shirley Temple-like curls were gone. “No single case of alopecia is the same, but children do have a worse prognosis,” said Dr. Marc Glashofer, a New York dermatologist who was diagnosed with alopecia when he was 8. Despite the variations of hair loss, alopecia is neither life threatening nor painful for patients, said Glashofer, who is a board member of the National Alopecia Areata Foundation Scientific Advisory Board. After Goggin lost all of her hair, her mother reassured the family that she faced no health risks. But Dannette still broke down frequently. She said her emotions probably rubbed off on her daughter. Goggin’s family continued her medications but saw little success. The medication caused swollen glands, and they stopped Goggin’s treatment when she was 10. 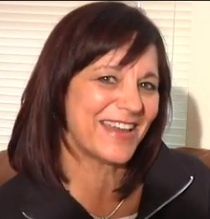 Dannette began to research the best options for wigs and other hair replacement products. Finding a wig to replace Goggin’s natural hair was not going to be easy. I am almost ready; I just have to do my hair. Anyone who has ever had to hear those words probably will not be surprised to learn that women spend an average total of 10 days a year working on their hair. They spend 40 minutes a day washing, blow drying, and styling their hair, according to poll sponsored by Fabriah.com a professional hair-care retailer. In addition to the amount of time women invest in perfecting their locks, they make an even bigger investment money-wise. A Tresemme shampoo survey says that investment equals about $50,000 over a lifetime. The appearance of Goggin’s hair was no less important for her and Dannette. Neither will forget the day Goggin got her first wig. Meeting wig distributors throughout the nation to find the highest quality wigs, her mother spends around $12,000 on wigs made from Russian hair every year for Goggin. Although research assessing the psychosocial impact of alopecia remains limited, studies show it can lead to depression, social phobia and anxiety disorders in some patients. Researchers also found the patients express greater issues in their relationships and sometimes are afraid to go outside to school or to work because they fear being judged or mocked. The stress emerges from how people want to look or present themselves to others, said Sarah Harkness, University of Iowa assistant professor of sociology whose field of study is gender and society. Research shows physically attractive people are viewed as having more positive personality and social traits and being more desirable as a partner. While implicit, these judgments may lead to false discrimination through socialization learned from parents, peers and media as individuals grow up, Harkness said. In Taylor Goggin’s case, she feared she would never fit in if people knew she didn’t have hair. Until college, she never went out in public without her wig. She was not open about her condition – except with her closest friends. And then there was the boy on the school bus; the one whose mean remarks prompted her brother Trevor to step in. He had pointed out that she didn’t have all of her eyebrows and eyelashes and made her run home in tears. Incidents like these made Goggin self-conscious about her condition until her junior year of high school. Eventually she became more open about it if anyone asked. However, as college was a few months away, Goggin felt her nerves kick in again. 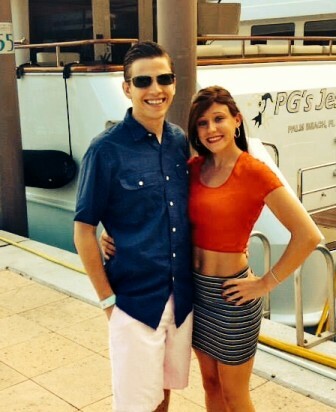 Taylor Goggin and boyfriend Jake Burke at Atlantis, in the Bahamas, where they went on vacation at the end of May 2014. Moreover, she planned to go through sorority recruitment, and that added to her anxiety as she prepared for the move to Iowa City to attend the University of Iowa in the fall of 2011. She eventually joined Pi Beta Phi. Although Goggin had an easy transition making girlfriends in college, boyfriends were a little more difficult. During her sophomore year of college, she told a guy she began dating about her condition, and he broke up with her the next day. SIDEBAR: Taylor Goggin and her family have found support from the National Alopecia Areata Foundation and attend annual conferences every summer. Click here to learn more about that experience and the foundation. Like Goggin, Sarah Guenzburger lost all of her hair at a young age, and it never grew back. 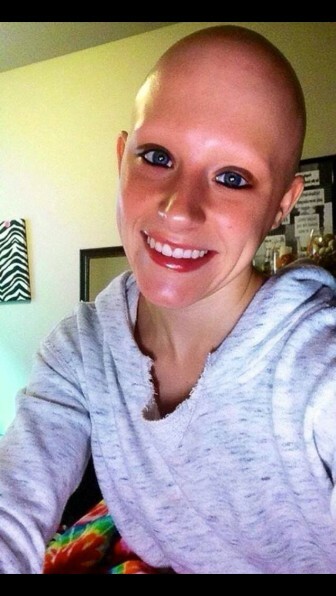 However, Guenzburger, a junior at the University of Connecticut, has been open with her alopecia ever since she was diagnosed at the age of 6. She rarely wears a wig. Goggin has been Guenzburger’s friend since they were 10 but was not as open as Guenzburger until almost 10 years later. Goggin finally was ready in her sophomore year of college to reveal to the public her true physical appearance by posting her first wigless photograph on Facebook. 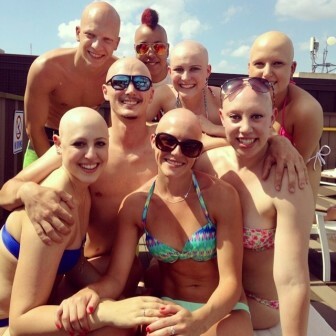 Taylor Goggin (front, center with sunglasses) and others from across the country with alopecia, during fun time in June 2014 at the National Alopecia Areata Foundation convention in San Antonio. Her friend, Sarah Guenzburger, is behind her to the right. This milestone marked a big step in being completely open with her condition and no longer being afraid to share with others a secret she tried to hide most of her life. Taylor Goggin has found a boyfriend who has known about her alopecia since the start of their relationship and who says he loves her regardless. This IowaWatch story also was published in The Gazette (Cedar Rapids, IA) and Iowa City Press-Citizen. Meet Taylor Goggin, a University of Iowa student who has lived with a unique disease called alopecia since she was a toddler; you’ll learn about what beauty really means, and hear why professionals say children are often more resilient in the face of adversity than adults. The largest nonprofit devoted specifically to children in the world! The Children’s Alopecia Project has CAP Kid Groups around the world and is the authority on Alopecia in regard to the children that have it and their family that life with it! There is a group in the Urbandale area too! You had a very “surface article” in the CR Gazette on Sunday and I was VERY dissapointed with the contents. Hair Club for Kids is 110% helpful to kids who are struggling with this problem. Google this and find the Dr. in West DesMoines(Urbandale? )who can help them. I know two little girls in Eastern Iowa who have been helped. Research this and do ANOTHER article. The Gazette edited this story to fit its available space. What do you think of the original material that is available in this story and sidebars? Thank you for the note about Hair Club for Kids. Please research “Hair Club for Kids” about alopecia and get these kids some help. 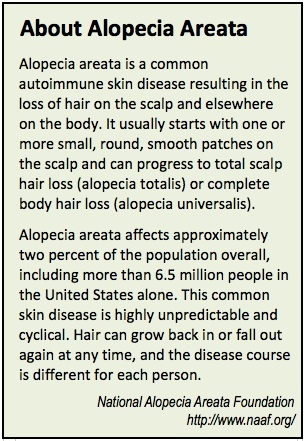 To learn more about alopecia areata, please contact the National Alopecia Areata Foundation (NAAF) at 415-472-3780 or go to http://www.naaf.org.